In this dawn or advanced technology where the internet is ubiquitous and social media channels take a chunk of everybody's time, branding is important. Likewise, the trends in business marketing are also evolving. If people are working with companies, nowadays the consumers are more willing to do business with people rather than companies. They now prefer human interaction. The values people look for when doing business have also changed, as well. Nowadays, they look for sincerity and honesty; involvement and availability; excellent service, and speedy delivery. With branding, you attract clients that match well with your niche and business. There are two types of branding: personal and business branding. 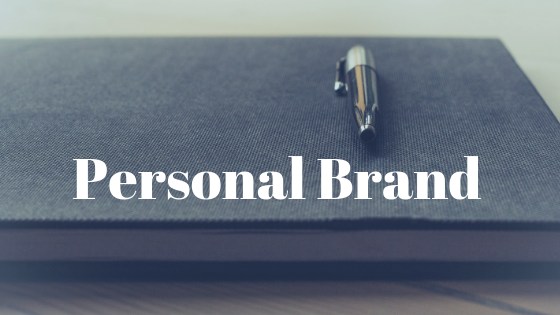 Personal branding is focused on you and who you are. You can ask for guidance: who you are, what you want to do, how you want to be remembered, and how other people see you. You can ask people, especially your employees, what they see when they look at you. Many entrepreneurs do not do personal branding, but if you like it, you are a personal brand. You need to know who your brand is, otherwise, you will not be consistent. The trick is to make sure that you are in synchronization with each other. For example, if your business is about sports apparel, then there's something wrong with your branding. A lot of entrepreneurs do not like to be in the limelight. This is normal, however, please keep in mind that people want to deal with people-real people. When you are just starting up and your business is still small, the owner is the face of that business. It is wise to create a personal brand with your clients; they are more likely to deal with business owners that know and like. Of course, there are other things that count, as well as the quality of your products or services. People will have a look at your business when they like you, and when your product and service is marketed to the right target audience, and then you have everything in order. As a personal brand, you want to be an expert in your niche. As an entrepreneur, you have something which many people want and/or need. This is always the case with business owners. owners, if you do not look at that way. It is wise to invest in knowing and learning about your niche and what makes it work. It is very important to find out what distinguishes you, as a person, from your competition. If you want to know more about Tineke, please watch her free training, which is all about how to stand out from your competition. A full-time training course about how you can define your ideal client and it's free at the end. You can register with this link and pick a time that suits you this week.